It was a busy week for trademark related lawsuit filings in the U.S. District Court for the District of Nevada (and not a single one of them filed by me). Price Products, LLC v. Juvenile Solutions, Inc., Case No. 09-cv-02067 (D. Nev. October 27, 2009) (Complaint). 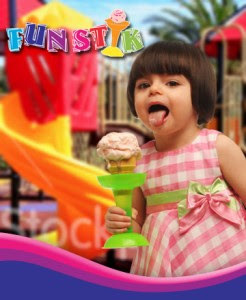 The owner of the DRIPSTIK ice cream/frozen treat holder (pictured above) sues for trademark and trade dress infringement over a knockoff product sold under the name FUN STIK by former Canadian distributor Petite Creations through Petite’s American distributor, Juvenile Solutions. Price Products discovered the products being marketed by Juvenile Solutions at an exhibitor’s booth at the ABC Kids Expo held on September 13-16, 2009, at the Las Vegas Convention Center (which is the only reason why an Idaho LLC is apparently suing a California corporation in Nevada district court). M Holdings, LLC et al v. Hu Mei Lei, Case No. 09-cv-02071 (D. Nev. October 27, 2009) (Complaint) (Las Vegas Sun Article). 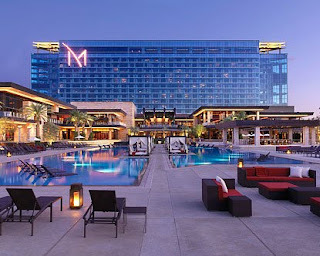 Las Vegas’ newest hotel and casino, The M Resort, files cybersquatting action against Chinese resident Hu Mei Lei over the website wwwmresort.com registered September 5, 2009, and purportedly featuring “provocative images of women” initially and changed thereafter to a typical pay-per-click landing page with links to discount hotel websites. Rolex Watch U.S.A., Inc. v. Ryska et al, Case No. 09-cv-02093 (D. Nev. October 29, 2009) (Complaint) (Las Vegas Sun Article). Rolex sues Las Vegas residents Angelika Ryska and Robert Mayer for counterfeiting over their sale of “replica” Rolex® watches through their website moreaffordable4u.com. 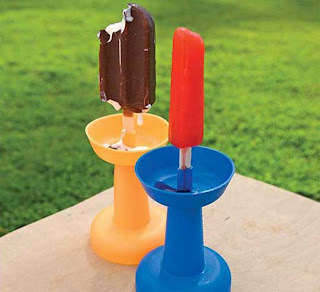 Mellow Beverage Co., LLC v. Nounna et. al, Case No. 09-cv-02090 (D. Nev. October 29, 2009) (Complaint) (Las Vegas Sun Article). 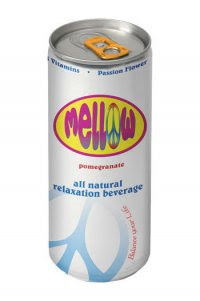 A company which sells a “relaxation and sleep aid” beverage under the unregistered trademark MELLOW (pending trademark applications here and here) filed a trademark infringement lawsuit against Shannon N. Nounna and Beverage Concepts, Inc. over a similar type of relaxation beverage using the name MELLOW (pictured below) (pending trademark application here) that Beverage Concepts is apparently launching soon. CityCenter Land, LLC v. Papillon Airways, Inc. et al, Case No. 09-cv-02088 (D. Nev. October 29, 2009) (Complaint) (Las Vegas Sun Article). The owner of the massive CityCenter project in Las Vegas is seeking a declaratory judgment that its proposed use of the name PAPILLON (pending trademark applications here and here) for one of CityCenter’s high-end retail stores located at CityCenter’s 500,000 square foot retail complex called “Crystals at CityCenter” does not infringe on the trademark rights of Papillon Airways, Inc. and Monarch Enterprises, Inc. which use the PAPILLON mark in connection with helicopter and bus tour services. On September 3, 2009, Papillon Airways’ counsel sent a cease and desist letter to CityCenter, citing Paillion Airways’ trademark registration for PAPILLON for various goods and services (e.g., bumper stickers, clothing, helicopter and bus tour services) and claiming that CityCenter’s use of PAPILLON (logo version pictured above) is likely to lead consumers to believe there is an affiliation with Papillon Airways’ goods and services. CityCenter’s response is that Papillon Airways misrepresents the scope of its rights to the PAPILLON mark, which is always used in connection with “Grand Canyon Helicopters” (as pictured below), and thus the second claim for relief for misrepresentation. Aloha Medicinals, Inc. v. Birkdale Medicinals, Inc., et al, Case No. 09-cv-00639 (D. Nev. October 29, 2009) (Complaint). A convoluted lawsuit involving claims by Aloha Medicinals, a manufacturer of dietary supplements for people and pets, against former authorized distributor Birkdale Medicinals and one of its officers, Anthony “Tom” Peters, arising from Birkdale Medicinals’ apparent relabeling of Aloha Medicinals’ products to make it appear as if the products were Birkdale Medicinals’ own branded products. There are also claims relating to use of Aloha Medicinals’ copyrighted website, clinical and technical data for Aloha Medicinals’ products (used by Defendants as data for their products), using Aloha Medicinals’ unregistered trademarks as metatags and Google Adwords, and intentional misrepresentation regarding broken promises over special packaging provided by Aloha Medicinals to Birkdale Medicinals. In a case that pits the World Market Center against Texas’ most notorious domainer, Texas International Property Associates (“TIPA”), the Nevada District Court granted World Market Center Motion to Dismiss (with leave to amend) several counterclaims that sought cancellation of some of World Market’s Center registered trademarks listed in its complaint that did not form the basis of its trademark infringement and cybersquatting claims against TIPA. World Market Center Venture, LLC v. Texas International Property Associates, Case No. 08-cv-01753, 2009 U.S. Dist. LEXIS 95752 (D. Nev. October 14, 2009). 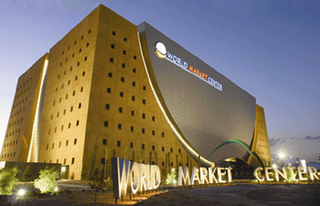 On December 12, 2008, World Market Center Venture, LLC, (“WMCV”), the owner and operator of the wholesale furniture trade show complex World Market Center in Las Vegas, filed a trademark infringement and cybersquatting lawsuit against TIPA the well-known domain name holding company that is no stranger to cybersquatting lawsuits, over TIPA’s registration of the domain name lasvagasmarket.com (the “typosquatting” variation of lasvegasmarket.com, used by WMCV to promote the World Market Center) on February 4, 2005, and subsequent use of the domain name in connection with a website that displays links to other websites related to Las Vegas activities (most likely your standard PPC landing page but its currently disabled). WMCV owns the registered mark WORLD MARKET CENTER along with other variations on the mark including LAS VEGAS MARKET (filed in September 2004 with claimed first use going back to April 2001 and able to be registered on the Principal Register under section 2(f) on the basis of acquired distinctiveness). [Click here my posting on a Nevada district court decision earlier this year on the “genericness” of this particular registered mark]. Soon after the filing of its complaint, WMCV obtained a temporary restraining order requiring the registrar to lock the domain name and ordering TIPA to cease any use of Plaintiff's marks. The court later granted WMCV’s preliminary injunction and denied a motion to dismiss filed by TIPA. TIPA answered the complaint on June 19, 2009, and included six counterclaims each of which sought to cancel one of WMCV's federal or state trademarks. The Third counterclaim sought to cancel the mark LAS VEGAS FURNITURE MARKET (Note: the court’s opinion seems to mistakenly cite the registration number for this mark as 3,259,971, which is actually WMCV's federal registration for LAS VEGAS MARKET) and the Fourth and Fifth counterclaims sought to cancel LAS VEGAS DESIGN CENTER. WMCV filed a Motion to Dismiss these counterclaims for lack of standing to request cancellation since WMCV has not claimed that TIPA is infringing these particular marks and because TIPA has claimed no interest in the marks beyond that of the general public nor has it claimed will be damaged by WMCV's registration of the marks. TIPA argued that WMCV “bestowed standing” upon TIPA to counterclaim to cancel these marks when WMCV included claims in its Complaint that it owned these other marks in connection with the mark that it claims TIPA infringed. In order to have standing, petitioner for cancellation need not prove actual damage, but only the likelihood of damage from the continuing registration of the mark. 3 McCarthy, Trademarks § 20:46, at 20-109 (4th ed. 2009) (citing Golden Gate Salami Co. v. Gulf States Paper Corp., 332 F.2d 184, 188 (C.C.P.A. 1964)). There must be a “personal commercial interest, rather than the interest of a mere intermeddler.” Golden Gate Salami Co., 332 F.2d at 188. If a party claiming cancellation “does not plead facts sufficient to show a personal interest in the outcome beyond that of the general public, the case may be dismissed for failure to state a claim. Lipton Indus., Inc. v. Ralston Purina Co., 670 F.2d 1024, 1028 (C.C.P.A. 1982) (citing Sierra Club v. Morten, 405 U.S. 727 (1972)). A party attempting cancellation must “demonstrate a real interest in the proceedings.” Id. (citing Universal Oil Prods. Co. v. Rexall Drug & Chem. Co., 463 F.2d 1122 (C.C.P.A. 1972)). The Lipton court identified many contexts in which a real interest could be shown, supporting standing: importation of products deterred by a registration, use of copyrighted appearance of an item, pecuniary interest of trade association, prior registration but not priority in use, protection of subsidiary's mark, descriptive use of term in registered mark, and advertising emphasis of American origin. Id. at 1029 (citations omitted). WMCV argued that TIPA’s counterclaims did not show how TIPA might plausibly be damaged by WMCV's registrations of the LAS VEGAS FURNITURE MARKET or LAS VEGAS DESIGN CENTER marks. TIPA attempted to argue that WMCV “bestowed standing on TIPA” by suing TIPA for infringement and listing those registered marks in the Complaint as marks that were being infringed by TIPA, and thus giving TIPA a “real interest” in the continued registration of the marks. As such, the court found that TIPA did not have standing to counterclaim to cancel the LAS VEGAS FURNITURE MARKET or LAS VEGAS DESIGN CENTER marks that were the subject of TIPA’s Third, Fourth, and Fifth Counterclaims, and dismissed those counterclaims, with leave to amend. The court also granted WMCV’s request for leave to amend its complaint to remove references to the LAS VEGAS FURNITURE MARKET and LAS VEGAS DESIGN CENTER marks. So is the lesson learned that plaintiff’s shouldn’t engage in a long listing of that clearly are not the basis for the alleged infringement? Likewise, should defendant’s not bother seeking to cancel registered marks that clearly are not the basis for the alleged infringement?